What Do the Road Construction, Metal Enclosure, Power and Tow Truck Industries Have in Common? 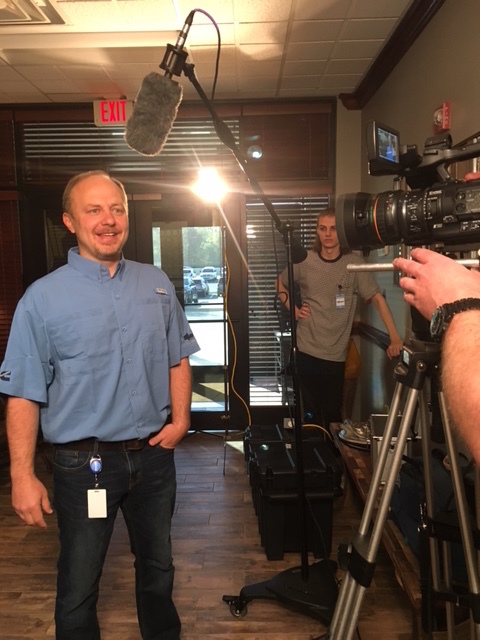 6 STRONG MEDIA partnered with the Tennessee Association of Manufacturers (TAM) to produce videos for each 2017 Excellence Award recipient. These profile videos were unveiled at the luncheon to an audience of over 1,000 people and will be featured by the winning companies on their websites and various social media channels. Our film crew had a blast working on this project! Check out behind-the-scenes action from our TAM award winner video shoots! 6 STRONG MEDIA specializes in developing animated explainer videos, live-action videos and motion graphic animations that support marketing and internal communication strategies. We offer our corporate clients and creative agency partners flexible pricing, top-quality work and lightning fast turnarounds all while making the production process easy and stress-free. Need to produce creative and engaging videos for your website, trade show exhibit or social media channels?